18" round base with 4 posts: 4.75", 8", 12" & 16". The 16" post is threaded on both ends allowing any of the other posts to be added for length. 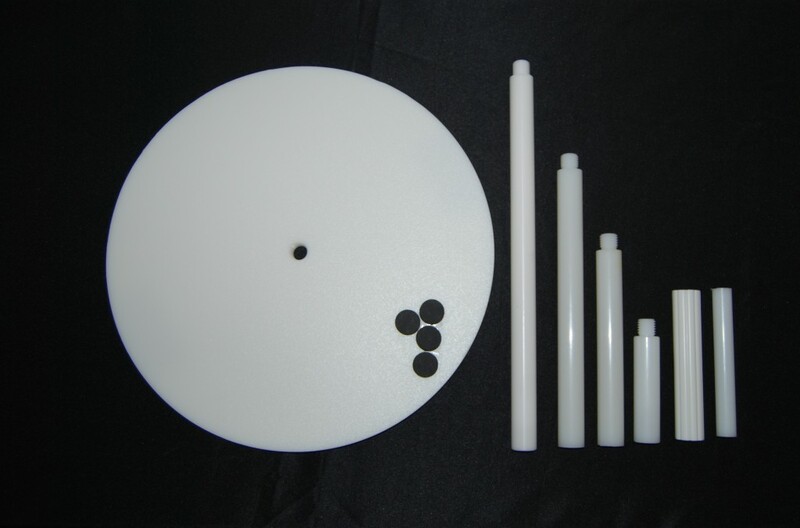 The set also includes coring tool and plunger to clean coring tool.